When planning your Disney vacation with children, it’s pretty important to know and prioritize what’s important. Some families don’t have the luxury of being there for 7-10 days, so they have to fit a lot of magic in 3 or 4 day trips! Knowing what rides tend to be the favorites of the littlest dole whips will help you in your itinerary planning. Most of the rides listed have no height restriction, that means the whole family can join in. These rides are also themed around characters that they know and love and are sure to delight them over and over. Peter Pan’s Flight- Will I ever forget the first time I experienced that boat take off to Neverland? Nope, and neither will your Dole Whips. Follow the Darling children on their adventure with Peter, Captain Hook and the gang. This is such a simple ride with nothing high-tech but it is magical and it is a favorite! The wait time for this ride can be major, snag that Fast Pass or get it done at Rope Drop! This ride has a beautiful queue that children will enjoy but I confess..I have never seen it in person because I always Fast Pass this ride. It’s a Small World-This ride for so many families is a tradition. Whether you have a teenager who hates it or an uncle who says he has been on it too many times…YOU RIDE IT’S A SMALL WORLD. 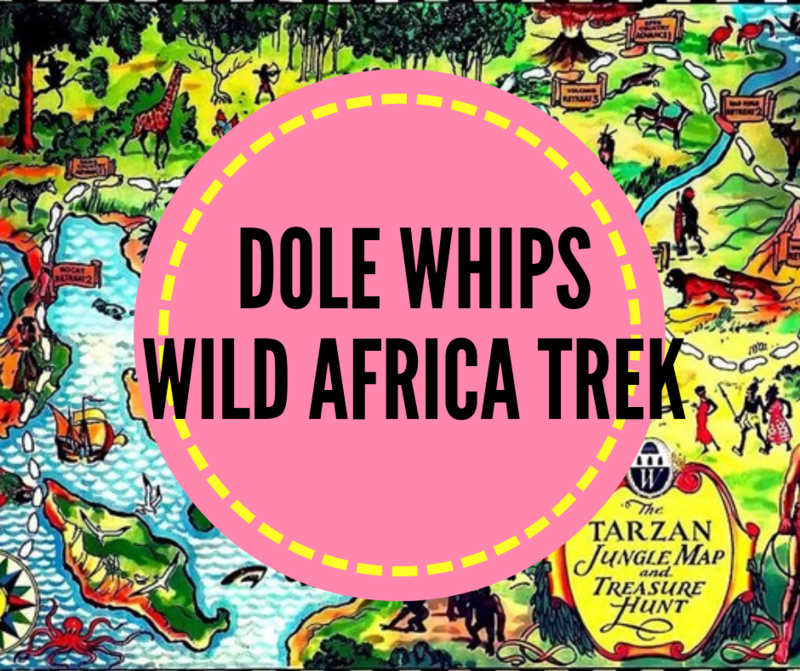 The Dole Whips will love this gentle boat ride around the world and the looping song! I seem to notice a new design element every single time I ride and I can’t get enough of the can can girls or the little hula dancers! Dumbo-This is an iconic ride for those Little Dole Whips! It has a fantastic queue and awesome photo opportunities. Nothing causes more giggles and belly laughs than a ride on a flying elephant! Mad Tea Party-This is another iconic ride that is sure to get lots of giggles! The wait is never really too long. Just be gentle on that spinning, the older I get, the harder it is to get off that ride after all the spinning! The Many Adventures of Winnie the Pooh– This is the sweetest ride, Pooh and the gang make the Dole Whips so happy. You go through a rainstorm, a blustery day, meet Heffalumps, and bounce with Tigger! That’s a win pretty much all the way around. Be mindful that this line can get a little long too. Under the Sea-Journey of the Little Mermaid-Dole Whip Princesses both young and old will be rushing to ride a clam shell through The Little Mermaid story. It’s just a beautiful ride with so many beautiful effects! This line can get long but the queue is mostly indoors and cool! Keep in mind there is a Ursula scene, she isn’t super scary but prep your Dole Whips so she doesn’t scare them too much! Aladdin’s Magic Carpet Rides-This ride is the same idea as Dumbo and so fun! There is also a camel spitting water at you, so you really can’t lose. The best part of this ride is that it’s next to the Dole Whip stand! Prince Charming’s Regal Carousel– Like a regular carousel but BETTER because it’s at Disney! Dole Whips love carousel rides and this one is magical because it’s the first thing they see when they walk through the castle. Be sure to take lots of pictures! Disclaimer Ride-Pirates of the Caribbean– My Dole Whips literally ADORE this ride. My oldest one begs to ride it over and over. She has never had a problem with being easily scared so the skeletons and general creepiness of the beginning of the ride was never an issue. If your Dole Whip isn’t sensitive, go for it! They get such a kick out of the scenes and the music. If they have seen any of the Pirate movies, they will enjoy connecting the dots regarding who Captain Jack Sparrow is. The Big Dole Whips in our tribe love all these rides as much as the littles do, so we are all pretty happy and content. We remember the magic of being little, believing so much and we get to experince it all over again with them. With Hugs and Pixie Dust! The best age for Disney is..this age..the best time for Disney is…right now.